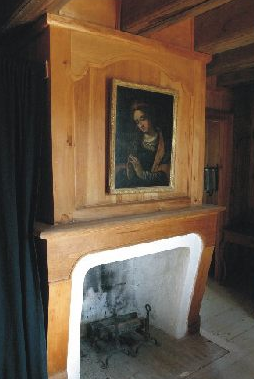 Households in New France were not without art. Although scholarship on religious sculpture, paintings and the interior decoration of French colonial churches and chapels is advanced, few studies have considered the secular consumption of works of art. For New World French elites, family portraiture celebrated lineage and rank, images of the king and members of the royal family proclaimed allegiance to the monarchy, and religious iconography and devotional art affirmed piety and adherence to Catholic doctrine. While these luxuries were typically imported from the metropole, colonial artists including painters and sculptors also shaped the "art market" of French colonial elites. Canadian art historian Pierre-Olivier Ouellet has devoted extensive efforts to studying the presence of art in domestic settings.